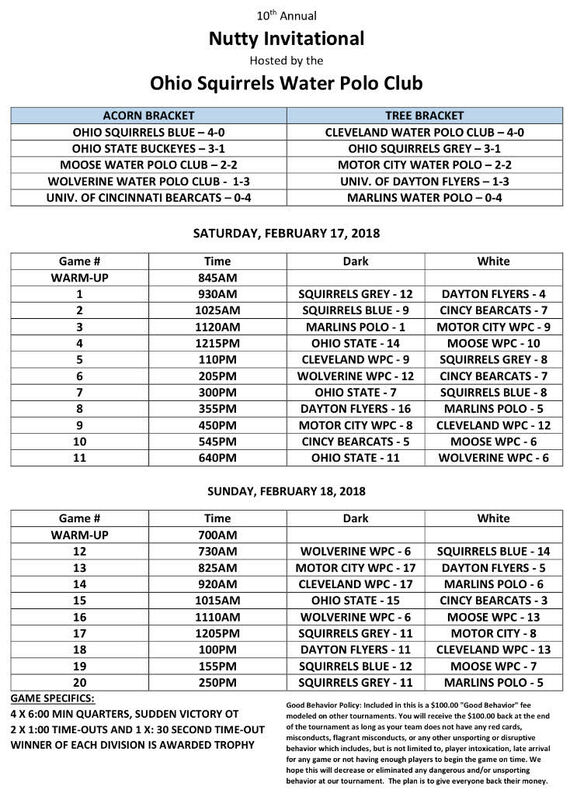 On February 17-18, the Ohio Squirrels Water Polo Club hosted 10 teams from around the state of Ohio and Michigan. This was a 20 game invitational held at the University of Cincinnati. Teams were placed into two separate brackets with Ohio Squirrels Blue and Cleveland Water Polo Club both going 4-0 and winning their respective brackets.